Lance Armstrong isn’t sorry. He doesn’t view what he did, all those years of doping, threatening and bullying as cheating or wrong. He says it’s embarrassing and bad to hear when asked about his lying and his attacks on those that told the truth. But would he do it all again? The impression you get from Alex Gibney’s The Armstrong Lie is absolutely; that his only real regret was coming back to the sport and then getting caught. Gibney became involved with Armstrong in 2008 due to that comeback, hired to document the rider’s return to the Tour de France after four years of retirement. When the scandal broke he shelved the film, picking it up again after the Oprah confession. It’s interesting that Gibney, one of the most influential documentarians around and known for hard-hitting exposés like Enron: The Smartest Guys in the Room and Taxi to the Dark Side, should sign on to do what many in the cycling community saw as a puff piece. Armstrong had been dogged by doping rumours ever since his first tour win, with every single rider that stood on the podium during his seven wins implicated but him, but this film would focus on the mythical return of a hero. Gibney is a savvy journalist and knew of the allegations but admits to being swept up in the narrative, the stories that Armstrong liked to create around himself. It’s lucky for him that the doping scandal broke then; the film would have been far too hagiographic otherwise, with Gibney confessing to finding himself just another fan cheering on Lance. This is a large problem with the film – Gibney inserts himself in to it far too much. He continually refers to it as ‘my documentary’ and narrates his thoughts and feelings rather than letting the footage, interviews and facts speak for themselves. There’s certainly a place for the documentarian in film as they are ostensibly the ones shaping it, but in this case it gets in the way of the story, with Gibney forcing his own experiences on it. Most importantly though, he doesn’t even use the close relationship that he developed with Armstrong over the course of his filming to his advantage. Armstrong had lied to his face for years, but when Ginbey picks the film up in 2013 he seems to have little issue with it. He notes it happened and says Armstrong owes him another interview by way of explanation, but he never takes him to task for it, never really questions him about his actions and behaviour, just sits him in front of the camera again and lets him tell his side, say what he wants. Unless he’s really pressured, where is the value in listing to anything said by a man who lied for so long and so meticulously controlled his image even when finally exposed? It is fascinating to watch the interviews with Armstrong before the 2009 Tour though, the manner in which he rails against his critics, the sheer brazenness in his lying, lies that he told for so long and had surely come to believe. 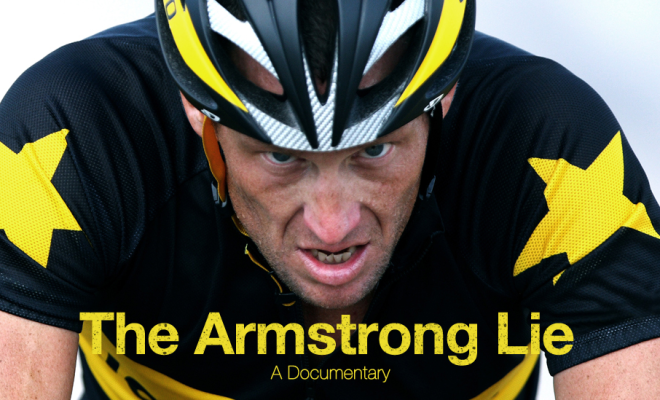 Even if the truth hadn’t come out I would have found it difficult to take away a view of Armstrong as a hero. I found him completely unlikable, a narcissistic bully with sociopathic tendencies who used his ill-gotten power to crush those who went against him. Rules, people – just more obstacles to be overcome in his quest to win, to dominate. 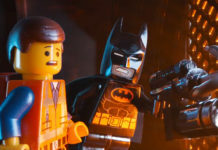 The original shape and narrative of the film, from before the scandal broke, takes greater hold in the second half when focus is given to the 2009 Tour. Whilst the motivations behind, and consequences of, the comeback are important, it’s given too much time in comparison to the eventual Novitsky investigation and its fallout, which is wrapped up too briefly at the end. I don’t want to get into a long spiel about the Armstrong case, but I absolutely cannot agree with Gibney’s apparent argument that there’s some moral relativism at work here – that Armstrong just doped because everyone else did, and that so many people wanted to believe that he hadn’t, that he was a miracle, that they ignored the evidence. There’s too much empathy here. This is a man that deserves to be torn down like he tried to destroy the lives of those who dared to speak against him. Instead Gibney gives him the final word, finishing the film with Armstrong saying what he clearly believes should be his legacy no matter what, “he won the Tour de France seven times”, and with an almost triumphant aerial shot of him riding atop a mountain. There’s a lot more of this story to come out, and while The Armstrong Lie is fascinating at points, Gibey himself gets in the way, and this is not the true deconstruction of the Armstrong myth that is needed and that many desire. Running time: 2 hours 3 minutes.